The Writer’s Voice … the deets! 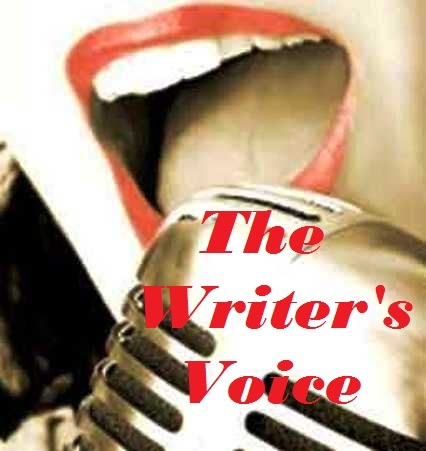 “The Writer’s Voice” is a multi-blog, multi-agent contest hosted by Cupid of Cupid’s Literary Connection, Monica B.W. of Love YA, Krista Van Dolzer of Mother. Write. (Repeat. ), and ME. We’re basing it on NBC’s singing reality show The Voice, so the four of us will serve as coaches and select projects for our teams based on their queries and first pages. We’ll accept entries in two time slots. The first submission window will open at 9:00 a.m. EDT on Thursday, May 3, and will close once we receive 75 entries. The second submission window will open at 9:00 p.m. EDT on the same day and will close once we receive another 75 entries. We’ll accept submissions via one of Mister Linky’s Magical Widgets, which we’ll post on all four of our blogs on May 3. Once you sign up for the blogfest, you’ll post YOUR QUERY and THE FIRST 250 WORDS of your manuscript on your blog. Then you’ll send your query, first 250 words, and A LINK TO YOUR BLOG POST in the body of an e-mail to TheWritersVoiceContest(at)gmail(dot)com, with your blogfest (linky) number, title, and genre in the subject line. 1. Sign up for the blogfest during one of the submission windows listed above. 2. Post your query and the first 250 words of your manuscript on your blog. 3. Send your query, first 250 words, and a link to your blog post to TheWritersVoiceContest(at)gmail(dot)com, with your blogfest number, title, and genre in the subject line. We coaches will review the entries by e-mail, but when we find one we want, we’ll leave a comment on your post that says something like, “I want you!” If more than one of us wants you on her team, you’ll have to pick which coach you want to work with. We’ll select our 10 team members by May 10, then spend the next week helping them put a final polish on their entries. You won’t have to take all of our suggestions, of course; we just want to help you make your entry the best that it can be before the agents get a look at it. The agents will vote for their favorites on May 21. Each vote will count as a partial or full request depending on how many votes the entry receives. If an entry receives 1 or 2 votes, those votes will count as partial requests. If an entry receives 3 or more votes, those votes will count as full requests. Voting will stay open for twenty-four hours, at which point we’ll determine which coach’s team received the most votes. That coach will win bragging rights for time immemorial, and everyone who received requests will be able to submit their materials to all the agents who voted for them. YES! This sounds wonderful! So glad my girlfriend told me about it! Thank you ladies for doing this for everyone! This sounds like fun, thanks for putting it together! For Adult Fantasy, does that include sub-genres? What an excellent contest! It does sound fun 🙂 I’ll definitely be here on May 3rd trying to get a spot! Yes this does sound interesting, but – similar to A.J. – does Adult Fantasy include paranormal? AJ and AM – Yes and yes. Good luck! You’re a nice lady, Ms. Drake. Buona fortuna to all. I’m TOTALLY going to enter this contest! Good thing I had already polished my first 250 words! I hope my YA historical will be done by then so I can participate! I’ve been making excellent time on expanding a very long short story into a full novel, and it seems like it’ll be done within the next few weeks. Wow this sounds super fun! I can’t wait. Thank you so much for all the opportunities! You all rock! I have the perfect story to polish up. And I’m posting this on my blog on Thursday. Is there a specific ms length (word count)? Mine is more along the lines of a long short story (about 20k words). So PUMPED! Thanks so much for doing this! Who-hoo, I am super excited. I have re-written my query a gazillion times, but I think I’ve got it where I want it 🙂 My first 250 as well. I do have a question…I noticed on cupid’s post, they said when the four of you pick your choices, the entries reposted would be pages…or did I mis-read that? Basically- will the final post with the top 40 still be the query and first 250? And did I say thanks? Thanks so much for putting this together!! In all seriousness, I am super excited, and I am going to prep all my stuff ahead of time so I don’t have to worry about it when the time comes. Thanks bunches for everyone that works on these 🙂 You gals rock! Thanks everyone! I’m glad you’re excited! This is such a wonderful opportunity. I just finished editing my book for the 100203848758569 time, but I’d like to have CP critiques back first…so I’m a little frightened by this! I guess you never know what would happen if you don’t try! This sounds like such a great opportunity. I’m really looking forward to joining it. @ Brenda – heh, we’ve been married for nine months 😉 So it’s just a belated honeymoon. But I’m still stoked! This sounds like a lot of fun. Thank you for putting it together. I love this! I wish you ran contests for hisfic and women’s fic writers. Hope you have a great turn out! This sounds awesome! It’s a shame my WIP is only a third completed, though I have had a small epiphany with it and plan to finish it someday when other pressures have subsided. I can definitely get into this, so I’m following. Nice to meet you, Brenda! Question: what do you mean by “blogfest (linky) number”? Is the blogfest what’s happening here, or is the blogfest something else we also have to sign up for? How much of the query do you want? Just the blurb or the bio and comparative stuff, too? If the 250 ends in the middle of a sentence, would you rather we go over or under? Hey all, it’s getting near – I’m so excited! Hopeful – We’ll have a sign up linky for you to sign up on May 3 – afterward you post your entry to your blog and email your entry to the contest email – we go to your site and tell you if we want you – if you get 2 coaches you pick who you want. Robin – Just the meat of the query (no credentials) and yes, please go to the end of that sentence if the 250 falls in the middle. This is a really great contest. Unfortunately, I will be traveling to the LDStoryMakers conferrence during the submission times. Oh well. Maybe next time. I’d love to have a couple agents take a look at my story.